Harris • Ginsberg LLP, a highly-specialized and prestigious family law firm of 12 attorneys dedicated to representing individuals in all aspects of family law, has opened a branch office in Pasadena at 70 South Lake Ave., Suite 1000, Pasadena 91101. The law firm focuses on dissolution of marriage, custody, support and property rights, prenuptial and postnuptial issues, and specialized family law representation for high-profile individuals and complex family law cases. Over the years, Harris • Ginsberg LLP has acquired a reputation for representing an elite clientele comprised of Hollywood’s A List celebrities, judges, politicians, and other high-profile individuals. The firm’s twelve attorneys together provide proven experience in handling sensitive personal and family matters while providing strategic advice to protect their client’s reputations and careers. Solely focused on matters of Family Law, Harris • Ginsberg LLP was founded by Suzanne Harris and Larry A. Ginsberg in 1996. 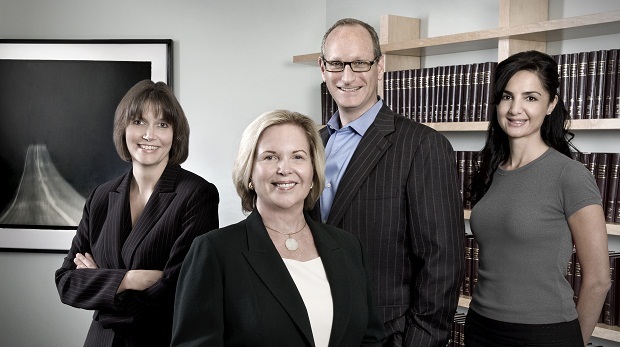 Both Suzanne and Larry are AV-rated Certified Specialists in Family Law by the State Bar of California. Both are also Fellows of the American Association of Matrimonial Lawyers (AAML) and of the International Association of Matrimonial Lawyers (IAML); partner Fahi Takesh Hallin is also a Fellow of the IAML. Each of the firm’s four partners have been designated “Best Lawyers in America” by the oldest, most highly-respected guide to the legal profession, worldwide. The attorneys at Harris • Ginsberg LLP are known for their contributions to the international Family Law arena. In 2011, the firm’s partners and associates authored an analysis of California Family Law that was first published in the 2011, Family Law Jurisdictional Comparisons. The second edition is being published this year. Also in 2011, partner Andrea Balian co-authored the Thomson-Reuters 2011 edition of the book Leading Lawyers on Developments in California Family Law. More recently, partner Fahi Hallin co-authored the 2013 edition of the book. Ms. Hallin’s portion focuses on prenuptial agreements, as well as the importance of being very cognizant of jurisdictional issues in dissolution actions. Harris • Ginsberg LLP has a long tradition of involvement in charitable and public service organizations. Many of the firm’s lawyers have served in a variety of leadership roles for public interest and charitable organizations including The Harriett Buhai Center for Family Law, a nonprofit provider of family law and domestic violence legal services to low income individuals.